The Egyptian capital Cairo is the world’s most dangerous megacity for women, according to a new poll. The finding was the result of a Thomson Reuters Foundation survey in which experts in 19 of the world’s biggest megacities were asked about sexual violence, access to healthcare, cultural practices and economic opportunities. 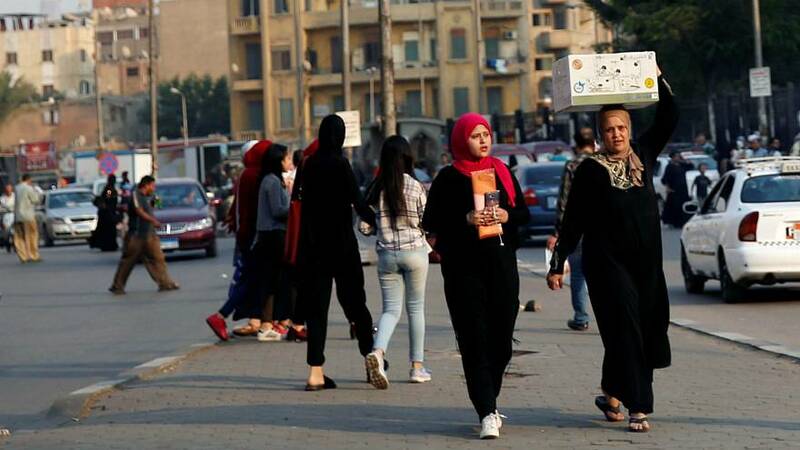 Cairo fared worst when it came to harmful cultural practices for women, such as female genital mutilation and forced marriage, and was named the third worst city in terms of the risk of sexual harassment and violence. Women there were also found to have limited access to good healthcare, finance and education. The Pakistani city of Karachi, Kinshasa in the Democratic Republic of the Congo, and the Indian capital New Delhi followed Cairo. Others to make it into the world’s 10 most dangerous megacities for women were Lima, Peru; Mexico City, Mexico; Dhaka, Bangladesh; Lagos, Nigeria; Jakarta, Indonesia; and Istanbul, Turkey. London was ranked as the safest megacity for women, followed by Tokyo and Paris.